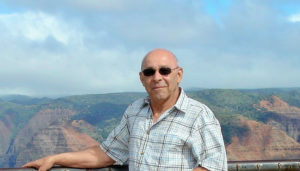 Ted Zepeda, 67, of Burien, WA passed away among family Monday Feb 04 2019. Lung cancer took him too soon and we are grateful his suffering has ended. Born in Yakima, WA on February 10, 1951 to Edmund Albert and Helen Marian (Sherry) Zepeda, he graduated from East Valley High School in 1969, married, and fathered two children. After serving his country during wartime, he apprenticed with the Carpenter’s Union and was a journeyman carpenter for 30 years. He took much pride in his work and advanced to a management role for some of the big names in the Seattle construction industry. After retiring, Ted enjoyed his life in Burien and was a regular at the Sunnydale, among several other local joints. A good time for him was spending time with close friends and family, say for a meal or a trip to Vegas, and working in his yard. He had an avid interest in the stock market and spent much of his free time learning the ins and outs of trading. Survived by his daughter Carley (Megan Vee), son Ben (René Garcia), sister Karen Garcia, brothers John (Margit Basel Zepeda) and Ken, sister-in-law Carol Noel, mother of his children, Loretta Apodaca, and many niblings, all who remember him fondly. Funeral services: 11:00 AM Saturday March 02, 2019 at the Holy Rosary Parish (201 N. Iler, Moxee, WA 98936) with interment to follow at the Holy Rosary Cemetery (Holy Rosary Rd, Moxee, WA 98936). Memorial donations may be made to the American Lung Association. We will forever miss you! Gone too soon, but will always be in our hearts. 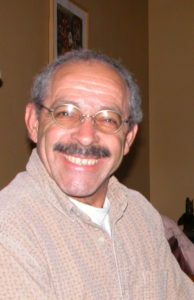 Oh uncle, I am sad you are gone, but rejoice in your complete healing & restoration! Prayers for my cousins, and all of us who already miss you so much! #Nuggies! Goodbye, Uncle. I am relieved that your suffering has ended but saddened that I didn’t get to say goodbye in person. Life has a way of redirecting our intentions. I’ll miss you but rejoice in the knowledge that you are those who went before. Love you! Uncle Ted…words cannot express how much we loved growing closer to you over the years. The moments of laughter and bonding with the boys are forever cherished. Thank you for being a great Uncle and greater Great Uncle. Blessed to have shared life & love with you! He was a great guy and always made us laugh! We love you and will miss you Ted!! Fond farewell to Cousin Ted. He was one of a kind. Cherished memories and my Prayers to all of the family. With all our love your families in Kentucky and Arkansas. Cuz, I never got to be with you enough but I always felt close and like a sister. I can still feel those childhood years in my soul. I’m sad but I know I will see you in heaven. I love you BIG! Uncle Ted… although you may have come across to alot people as very serious and sometimes even grumpy you were a Teddy bear with a heart if gold. Always pushing us to be the best we can be. These last few year I had a closer relationship with you than I had most of my life. I will cherish those times always. I Love you and will miss you very much. Uncle you will be missed. Your humor and love we will never forget. You were a huge part of my life and I don’t knw what I will do without you. We have lost a friend, a good and decent man. So sorry for your loss Carley, Megan, Ben, Rene, singlings, family & friends. Ted will be missed. He always had a smile and wise words of advice for everyone he knew. May our Fond memories to give all of us comfort and peace to fill the void. Godspeed Ted.